Julia and a friend (who will also star a post soon) attended the Taipei In Style fair, where I met them. She was wearing a black dress with white collar and cuffs, black tights, and dark brown shoes. 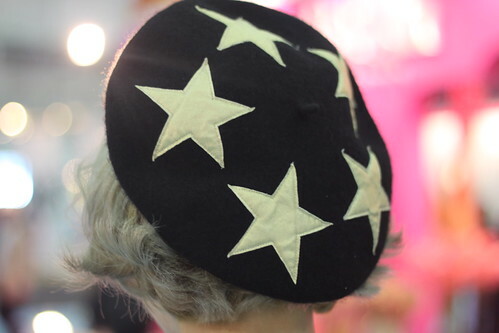 Her complements were a black watch and a black beret with golden stars. Thanks a lot Chiara! I'm really glad that you like my blog and Taiwan! I totally agree! 🙂 I hope you can come back soon!